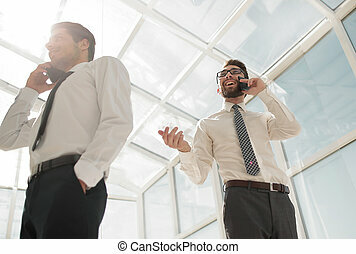 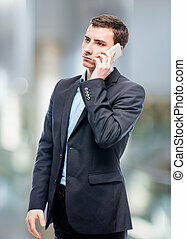 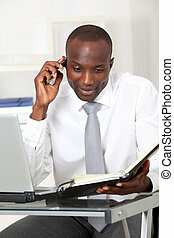 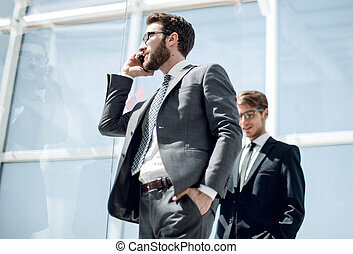 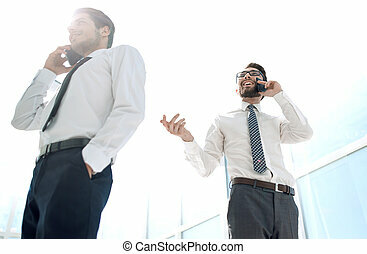 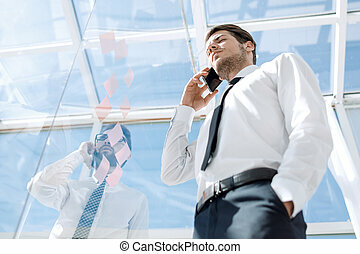 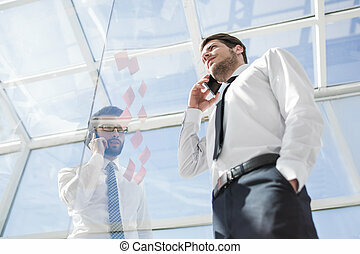 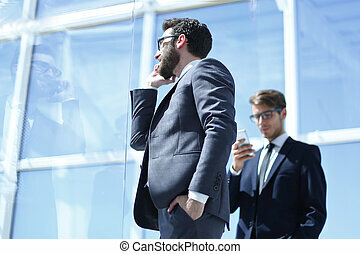 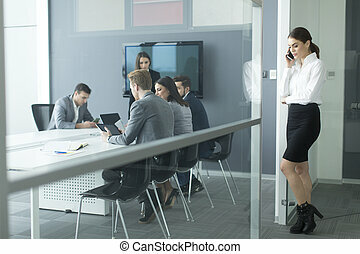 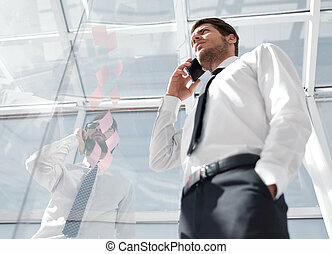 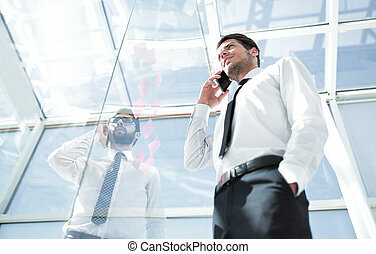 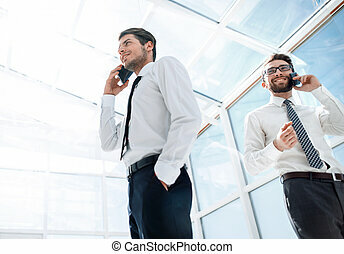 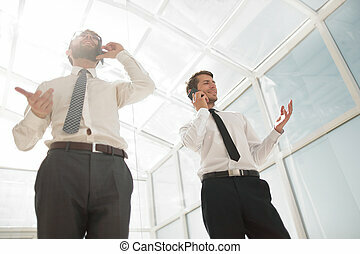 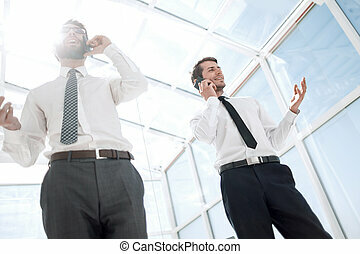 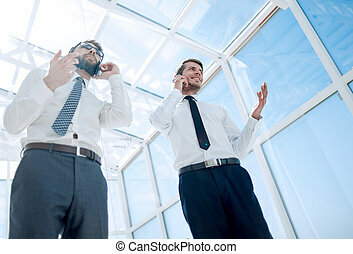 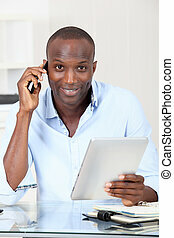 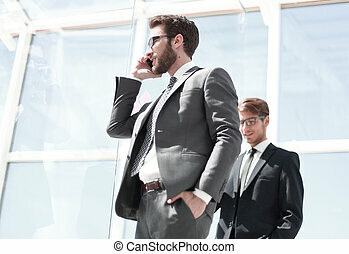 Bottom view.business people talking on their mobile phone in the office.the concept of communication. 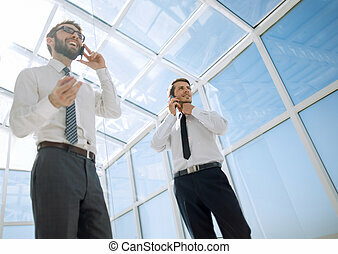 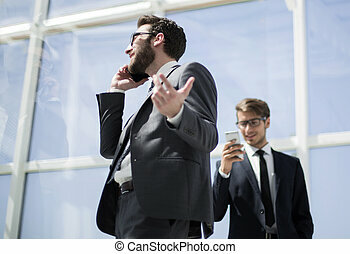 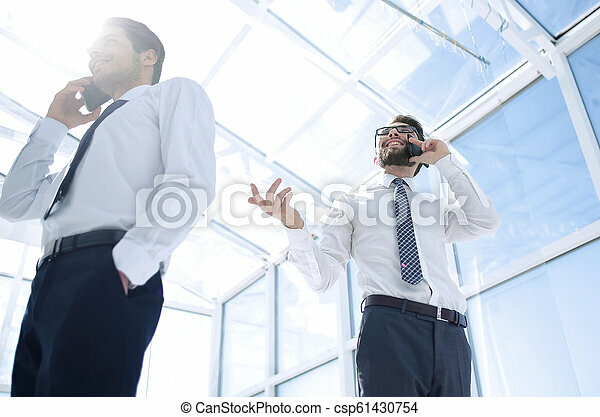 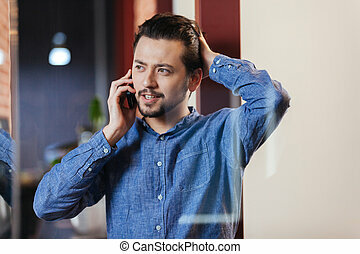 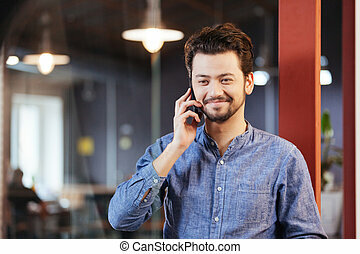 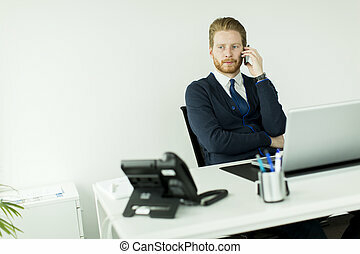 Bottom View.business People Talking On Their Mobile Phone In The Office. 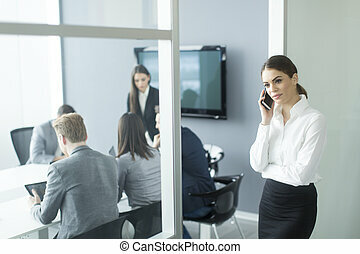 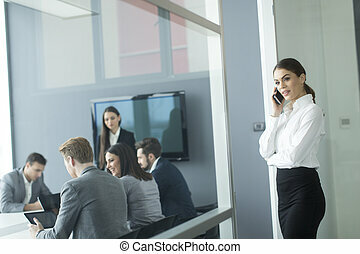 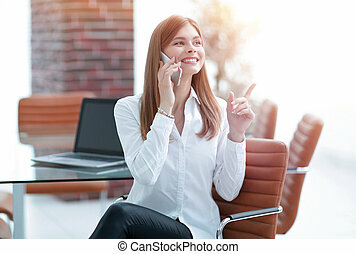 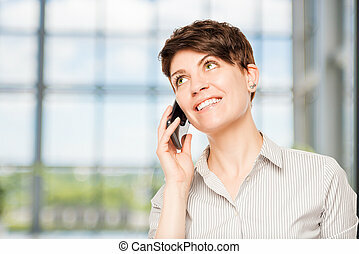 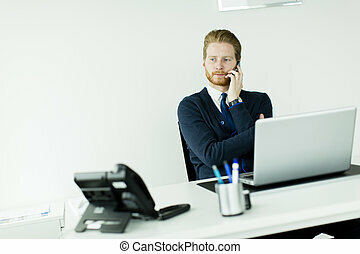 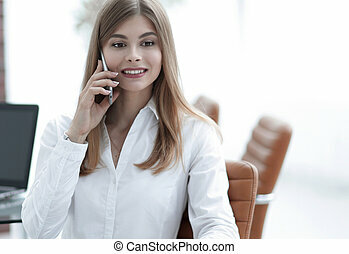 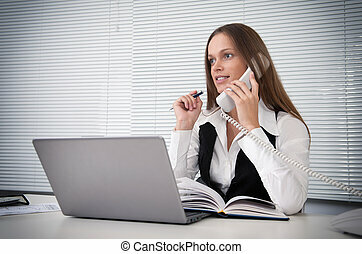 successful business woman talking on mobile phone sitting in the office.